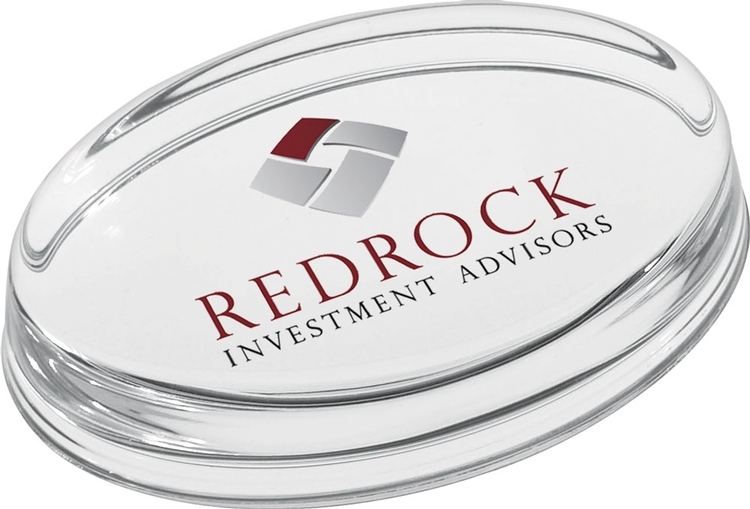 Hand crafted round paperweight with clipped bottom. 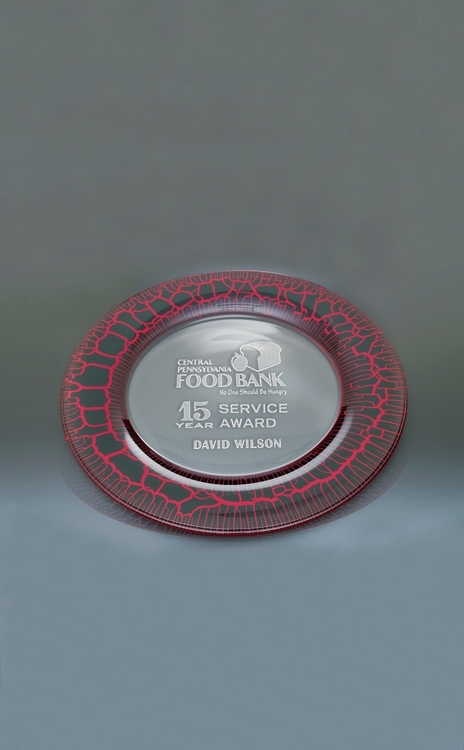 The 4 inch Oval Paperweight/Award - Great desk accessory! - Bottom lip helps to protect imprint. 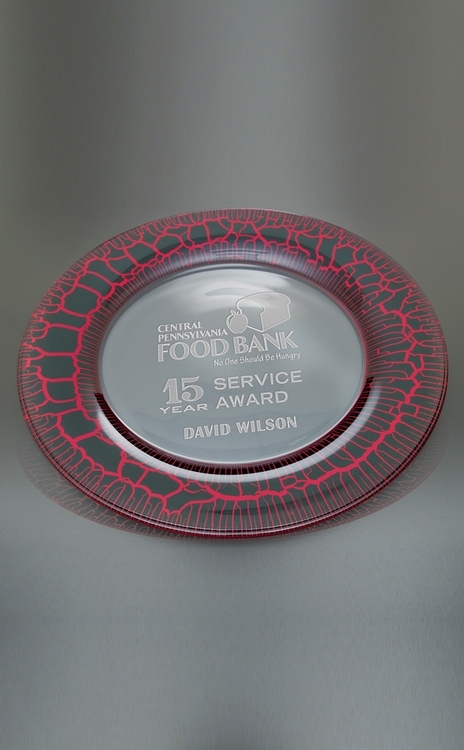 Small Red Leopard Plate shown with optional color fill. The Red Leopard design is a special combination of Old World European glass making with state of art decorating and design techniques. 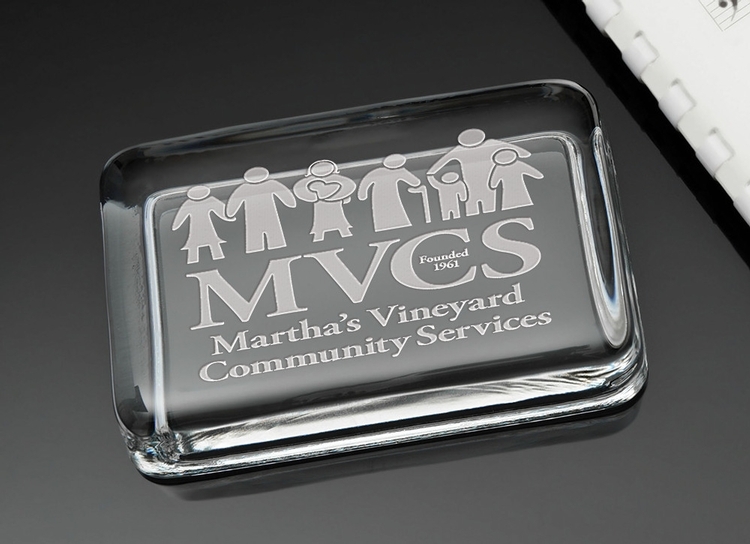 A wonderful design for all types of award events. 27 oz. 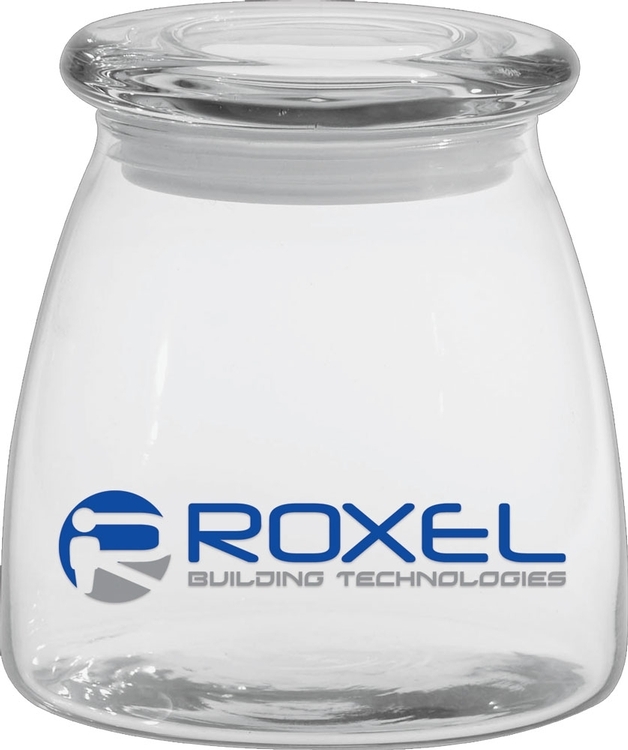 Large Vibe Candy Jar with Flat Lid - Available with candy fill. Additional charges apply. Diamond Line features intricate caro cutting to create tight, cross-hatched wedge cuts for an amazing sparkle. A special cut border design showcases this beautiful intricate pattern. 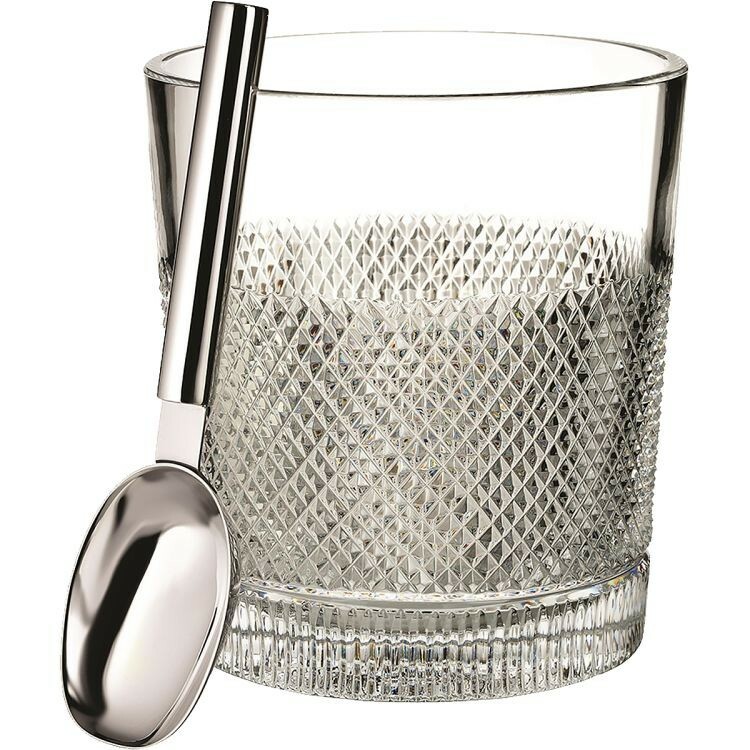 Featuring a modern, flared shape, the Diamond Line Ice Bucket with scoop adds a refreshing twist to classic entertaining. Medium Red Leopard Plate 10.5". DiameterThe Red Leopard design is a special combination of Old World European glass making with state of art decorating and design techniques. 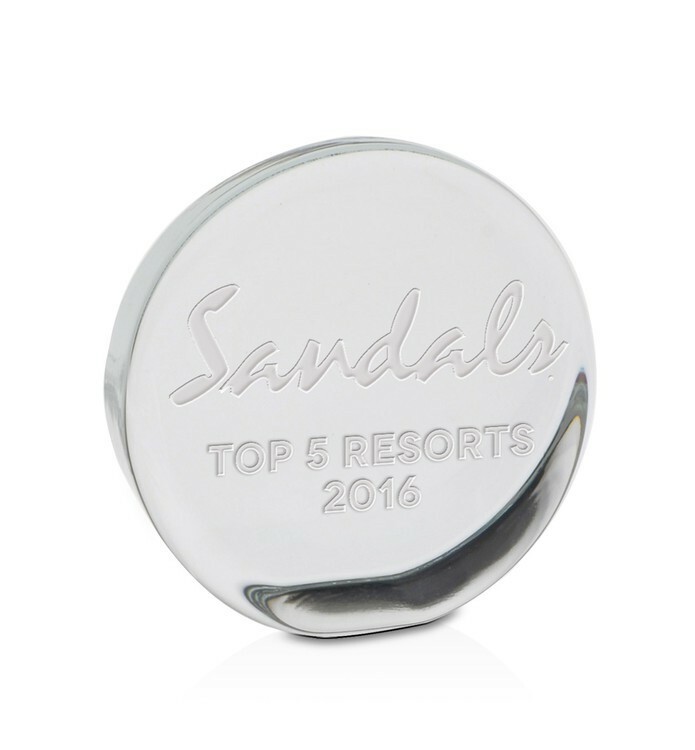 A wonderful design for all types of award events.